Michael has been involved in the Financial Services Industry for over 11 years. During this time, he has been employed in very successful financial planning roles. 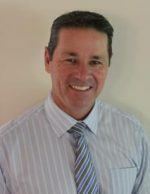 As an Authorised Representative, Michael believes in helping his clients build the complete program they need to maximise their earning potential during their working years, as well as helping them with their retirement planning, superannuation, and personal insurance needs. He achieves this by providing quality advice, personalised service and practical ideas to deliver superior solutions. Fill out the form below and one of our friendly staff will get in contact.